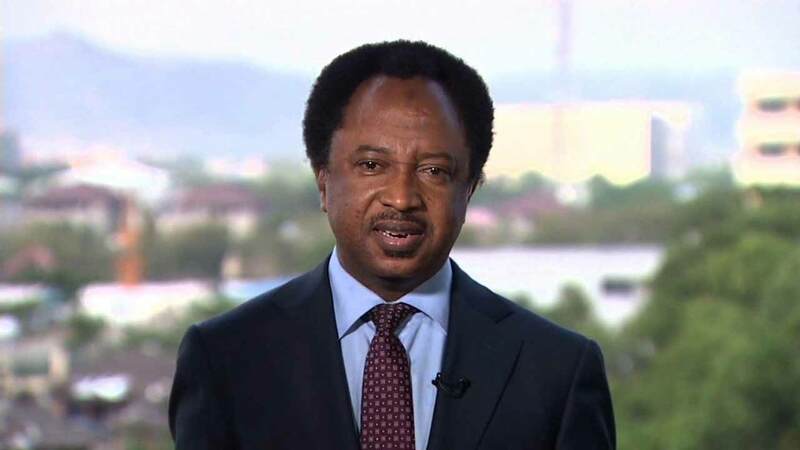 Human rights activist and senator representing Kaduna Central in the National Assembly, Shehu Sani, speaks on his recent defection from the ruling All Progressives Congress (APC) to the People Redemption Party (PRP), the politics against his automatic ticket in the ruling party and how he and other lawmakers and governors were “betrayed,” the integrity of President Muhammadu Buhari, and the APC leadership which is brewing crisis in the party and other issues of national interest. Recently, you announced your defection to the Peoples Redemption Party (PRP), apparently because your former party, the All Progressives Congress (APC), did not give you an automatic return ticket to the National Assembly. What exactly informed that decision, which many felt was belated? My decision to join the APC initially was founded on the fact that at that very time, APC was the only viable alternative to dislodge the Peoples Democratic Party (PDP) and restore good governance in Nigeria and rescue our democracy. It was a fact that Nigeria was on the edge of collapse, democratically. It was looted and raped. It was almost destroyed by a decade and half of misrule, mis-governance and pervasive corruption. At that time when we joined the APC, it was our belief that the nation would achieve and bring an end to the pervasiveness, collapse of the economy and a complete anarchy that enveloped our nation. The APC came to power with a lot of promises and also raised the hope of Nigerians, especially the fact that we had a person like Muhammadu Buhari as President and his integrity, honesty and commitment to the liberation of this country. Now, in the last three and half years, we have seen a progressive decline of the party and the integrity ascribed to the President, as the nation has been moving from hope to hopelessness. We saw the weaknesses of President Muhammadu Buhari and we have seen the rise of a civil force, in the form of a cabal around him that is manipulating the hands of power. We have also seen the vulnerability of the President as a person. Let us come to specifics. In July, there was an uprising and uproar in the National Assembly emanating from APC legislators, who said they had had it enough and had to move from the APC to PDP. I was part of that scheme at that material time to pull out of APC, but I stayed back for three reasons. The first has to do with interventions from Adams Oshiomhole, who was then elected the new chairman of the party; from Ahmed Bola Tinubu; and from the President himself. Specifically, in Oshiomhole, I saw a man who had a track record of unionism and activism and with whom I shared the same story in unionism, in perception and struggle. So, he gave me all the assurances and I told him that we were getting out of the party because for three consecutive years, we have been at war with the governor of my state, an arrogant and undemocratic governor who has no respect for democratic values and fundamental rights of the people, with whom we differed, both politically and ideologically, despite that we came from the same party. Oshiomhole and others promised, not just me, but other senators who had similar problems in their states, that they were going to address those very issues and we should remain in the party, giving us assurances. Well, we have seen that governors within the APC wield so much more power than the pledges and promises that were made, but virtually not fulfilled. APC moved from being a party to a theatre of war and conflict between its leadership and the governors. We saw the party simply moving in a direction of disaster. So, for one, we gave them the benefit of doubt. They promised that the primary elections would be direct and as such, they would not be subject to manipulation by anybody. They also promised that for those of us in the National Assembly, the issues would be resolved and there would be the need for us to remain in the party and save the party. When the issue of primary elections came, it was very clear that many of the governors were not in favour of direct elections, because the foundation of the crisis in the APC started from Chief John Odigie-Oyegun, with the congresses at ward, local and state levels. There were no ward congresses in Kaduna; the names of the executives were written by the governor and his aides and given to the Odigie-Oyegun-led National Working Committee (NWC) to put a stamp of authority. Any genuine politician worthy of himself would not go to stand for a primary election where one person goes into a room in a hotel and writes the names of delegates and submitted them and you want to contest a primary election with that kind of thing? These were part of the issues we raised and pointed out to the national chairman of the party and he promised that these issues would be remedied by a direct election. Then, the signs of weaknesses came when Oshiomhole and his colleagues were insisting on direct primaries and governors were saying they would choose the kind of primaries that suit them. Any governor who sought indirect primaries was simply going to use the executives he wrote with his pen to endorse those he wanted and remove those he didn’t want. Well, the primary election came and we bought forms at exorbitant prices and went for the screening. Out of all the five aspirants, I was the one who was cleared to contest the Kaduna Central zone senatorial primaries. So, on the day of the election, the NWC insisted that I was the one that was cleared, so the party was expected to do an affirmation. But the governor of the state said he did not agree and he moved to the Presidency and Oshiomhole. Governor Nasir El-Rufai spent so much time from Oshiomhole’s office to the Presidency to clear other aspirants and conduct his own kangaroo election. Later, we learnt that Oshiomhole and the President bow to his own threat, that either they choose him or me. When all these things happened, I then knew that I didn’t have to wait after consulting with my constituency and supporters before I get the result, because I know very well that the President and Oshiomhole reneged on their words. The APC primaries were one of the greatest political robberies in the 21st Century. The sale of the form was fraudulent, the screening process was dubious and the primary election was a scam. They collected hundreds of millions of naira from gullible aspirants and the screening and primaries, which were shrouded in secrecy, was a disaster. People were asking why I didn’t leave the party before then and I told them that when most of my colleagues in the National Assembly were leaving the APC, they said they were going home, which is the PDP, but PDP was never my home. I didn’t want to move from APC to PDP, which was never my home. I decided not to exit the APC at that time because if I had done that then, the people in my constituency would think I had betrayed the President, the party and their mandate. So, rather than being seen as a betrayer, it was better for them to see me as one who has been betrayed. It is more credible that way. In politics, when you hold a mandate, representing a people, you cannot just take a decision without consultation. The APC has lost its honour; it has lost its integrity and it has created an atmosphere of chaos. In that last few weeks, you could see the anger, objection, mass protest and bitterness that attended the affairs of the APC. This cannot be the party that will deliver Nigeria to the Promised Land. Everyone thought that at this time, the APC would have built itself to the point that it will inspire others to emulate it. For example, what is happening in my state, Kaduna, is that there is no APC in Kaduna State; it is simply a franchise of El-Rufai. In fact, the APC has degenerated to the point that there are three ways you can emerge as a candidate in that party. Firstly, have a powerful connection within the Presidency, where a short note can be written to the national secretariat with somebody’s name to be removed and replaced with another. Secondly, if you are not in the favour or in the good book of a governor, you cannot have a place. Thirdly, if you can pay your way through, then you consider things done. Today, the party is an opposite of what progressivism is. At the earlier stage of defection by your colleagues in the Senate, people expected you to do the same when the ovation was loudest. How is your relationship with them now? What I want you to know is that you don’t change your party from the National Assembly. It is either you get registered into a party from the ward or you exit the party from the ward. You don’t join a party from the National Assembly or exit the party from the National Assembly. As far as I am concerned, I don’t want to be seen to leave the party because others were leaving. I represent a people and it is these people that would either say I betray them or not. You live in Kaduna and you go round, you cannot see any person out 10 people or two out of three that would say I betray them or the APC. I didn’t betray the APC. So, as far as I am concerned, those who are responsible and are seen as betrayers know themselves. It is the interest of my constituency that is of uttermost importance to me. It is where they want me to be that I would be. I don’t want to leave a party where I would not be able to go back to my house and sleep or would not be able to go to mosque to pray. But now, my people have seen that the fault didn’t come from me, but from the people they earlier believed in and that gave me the support, peace, sympathy and solidarity to move to the PRP. I decided to join the PRP because the party and its founding party- NEPU- were the parties of my own parents and my own family. I come from a revolutionary and socialist background. It is a party that represents our ideological thinking as revolutionaries and socialist. It is not just a party for only acquiring political power, but also a cause and defence for a noble democracy, vehicle and a platform for liberation of the talakawas. So, my colleagues went home to the PDP and I am also at home with the PRP. Since I left the APC to join PRP, I am so happy with myself. Leaving the APC is like leaving the Boko Haram territory. The difference between Boko Haram and APC is that in Boko Haram, we have Shekau and in APC, there are so many of them. Some people argue that the way and manner the APC is handling its affairs internally is the same way the nation is being handled; hence Nigeria has not found its bearing. What is your take on this? First of all, anybody who says things are working right is only deceiving him/herself or trying to suppress the truth that cannot be suppressed. There is no doubt that there are some achievements, in terms of completion of projects inherited and in the war against insurgency, but you can see for yourself that this country is more divided than before on ethno-religious lines and there is more nepotism in all ramifications. Also, Nigerians don’t see the present leadership in the country as a unifying figure. Rather, they see it pursuing sectional agenda. We have also seen a progressive decline in the sanctity of human lives and protection of fundamental rights of Nigerians under the present government. There is also the rising level of intolerance and tyrannical behaviours under Buhari’s regime and the complete desecration of democratic values in which the APC government has descended into. So, what this administration has done is such that by its conduct and character, it has lost its goodwill and by its own division and divisiveness, it has empowered and energised the opposition. The PDP is getting stronger and stronger, despite the blackmail and intimidation from the ruling party. From 2015 to date, the APC has been on the losing end; it has lost Kwara, Benue, Sokoto and it has lost legislators in the Middle Belt and the overwhelming support it had in the Southwest.